Body Buster Gift Certificates make the perfect Holiday gift! Give a loved one the gift of health, fitness and fun this holiday season, or put it on YOUR wish list! The holidays are all about family, friends, gratitude and giving back. 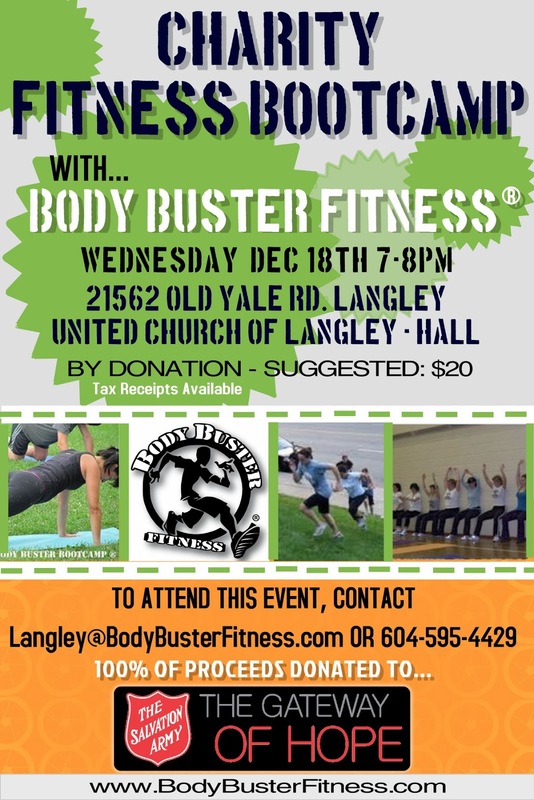 Body Buster Fitness is proud to invite all of our valued members, family and friends out for a night of fitness, fun, prizes and most importantly a chance to give back to the Langley community! Gateway Of Hope Langley Shelter. JOIN US on December 18th for the Body Buster Fitness CHARITY BOOTCAMP! The Gateway of Hope Family Services is blessed to offer year round programs that help individuals with emergency clothing, food and housewares. At Christmas we assist with hampers to give people a wonderful Christmas with enough food to take them through the season. We are also able to offer subsidized summer camp for children ages 7-12 years, Family Tracing Services and assistance to those who find themselves homeless. Our Family Services Coordinator takes the time to meet with clients, listen to their needs and assist or refer them to other community resources if needed. Through our Opportunities Program we provide the next steps for those in the recovery process from drug and alcohol addictions – endeavouring the journey of a new life . The Gateway of Hope provides supported transitional housing for both men and women. The Gateway of Hope staff work closely with the residents of the program to break the cycle of addiction while identifying the barriers of destructive behaviour. The Opportunities Program provides residents with life and employment skills, goal setting and relationship counselling. The Opportunities Program unique element is through the connections formed with the residents and their Opportunity Advisors. Each Advisor works one-on-one with a resident standing by their side through each life changing steps. Advisors are able to identify areas that are in need of growth and can assist in developing realistic goals. It's the LAST Program of 2013! The cold weather has officially set in...Body Buster Bootcamp Classes are INDOORS for the remainder of the year into 2014. Save yourself from post-holiday body blahs! Get a head start on your fall & winter fitness routine with Body Buster Boot Camp so you can ENJOY the Holidays! 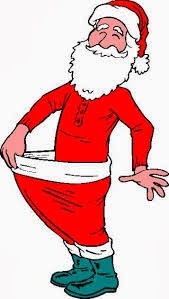 Treat yourself to an early Holiday gift - or suggest a Body Buster Gift Certificate on your wish list! Start off your morning or release tension in the evening with an exciting fitness program that changes from week to week, involving yoga, drills, nutrition info, core conditioning, strength training, stretching, weights, pilates and much more, works your entire body and keeps fitness fun! An exercise we LOVE to HATE...The Burpee! Why are they so challenging? Burpees are a full body exercise that WORKS! Register for the next Indoor Body Buster Fitness Program and get your BURPEES on! Body Buster Instructors give you the motivation you need to make positive changes. Like personal training in a group setting, instructors get to know you and your goals to allow maximum individual results. NOVEMBER 18TH 2013 is the start of the next Boot Camp Program! CLICK HERE TO WATCH THIS BODY BUSTER VIDEO! Langley Boot Camp Blog - Bootcamper of the Program! "I now have my set time for focusing on my health and relaxing from every day stress." & "I am definitely stronger physically and mentally." I have been a Body Buster member for two years and a half. I love that at Body Buster every class is different and you never get bored. I also enjoy training with a group of people where we motivate each other. I have chosen to continue with Body Buster because I constantly improve my fitness. The instructors are great at motivating me to push myself harder. Body Buster has helped me become stronger and meet various fitness goals. The program has especially improved my cardio endurance. I also feel mentally stronger and ready to meet any challenge. I am more relaxed in my daily life even on the more stressful work days. I now have my set time for focusing on my health and relaxing from every day stress. I met a great group of people that help me motivate me to meet new fitness goals. I have gained a new healthier way of life through exercise and better nutrition. 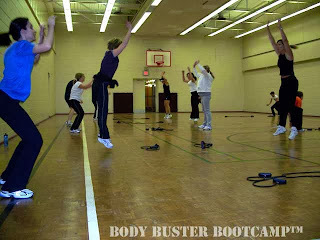 Body Buster is for any fitness level because instructors modify the exercises to meet your needs. Even if you are already working out, Body Buster will help you pass any plateau and achieve new goals in a way that other programs will not. Even though classes are tough sometimes, I love being part of Body Buster program. It has become a way of life for me. When I am away, I cannot wait to get back to challenging myself at Body Buster. I started Body Buster Bootcamp because my daughter Alex encouraged me to do so. She inspired me to push myself and get again fit. I've been a Body Buster member only since July 2012, but I feel like I am with BB since ever. What I like most is that the trainers know how to get the best out of us and to make us a stronger person. I like that every class is different and when we workout in teams. Everyone is so supportive. We are like a family taking care of each other in hard times. I lost about 5-6 kg and 4-5 cm in all the dimensions. The Body Buster program makes me feel good about myself. While working out in the class I focus on pushing myself, therefore I forget about all the daily problems. After class I feel rejuvenated, stronger and more energetic. I feel stronger, less sick and whenever I get a cold I get well faster. I am definitely stronger physically and mentally, and I slimmed down and got a great body shape. I would tell anyone who has not taken this program before that Body Buster will change their life in a positive way, and if they want to lose weight and get healthier, this is the right place to do so. They don't have to worry about starting in a bad body shape or at older age. The trainers give everyone lots of options to be able to adjust to your own fitness level. I enjoy being a Body Buster member. I can't imagine my life without Body Buster Fitness. November seems to be categorized into one of those "blah" months. Through the holidays, we tend to put our fitness on the back burner and look forward to the New Year. It's during these times that it is so important to make a commitment to yourself, your health and fitness. Signing up for your Body Buster program early and making a long term commitment will keep you on track over the winter "blah" months. Body Buster Instructors hold their members accountable which is key to your overall success in the program. Think of how great you will feel when you're right where you want to be in terms of health and fitness while others are just making their New Year's Resolutions! At Body Buster, we are welcoming November with open arms! Indoor boot camp programs are back in full swing November 18th through to December. Although this is an Indoor Program, remember to layer up! Portions of class may be held outdoors only if weather/temperature permits. REGISTER TODAY for the November 18th Body Buster Fitness Bootcamp Program!